There are many remodeling contractors in the Scottsdale, Arizona, area, all of whom have different specialties when it comes to home renovations. 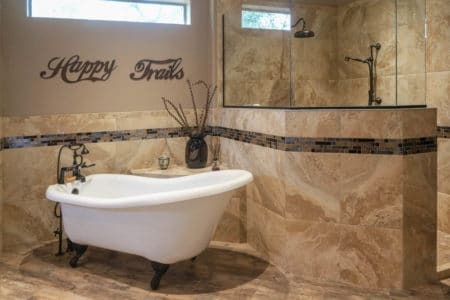 For instance, if you’re excited about finally having the bathroom of your dreams, complete with a steam shower, touchless faucets in twin sinks, and a beautiful tile floor, you’ll need to seek out a contractor that specializes in bathroom remodels. 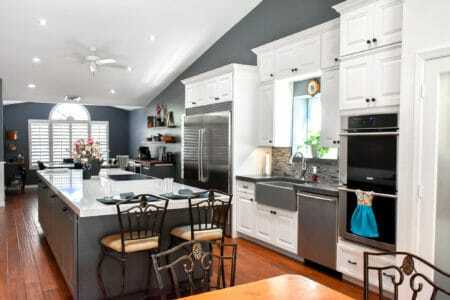 Another popular room to have renovated is the kitchen. To truly enjoy a brand-new kitchen designed just how you like it with smart appliances, under-cabinet lighting, and a climate-controlled wine cabinet, searching among area remodeling contractors to find one that is trustworthy and has years of experience updating kitchens should be your first priority. However, what if you’d like to update both your bathroom and your kitchen? Does this mean you have to hire two separate remodeling contractors? Not if you do some diligent research to find a firm that can handle both jobs at once. Indeed, you can certainly save yourself some money (and headaches) by hiring just one contractor to complete all the renovations you need for your Scottsdale, AZ, home. Fortunately, area homeowners can choose Premier Kitchen & Bath. 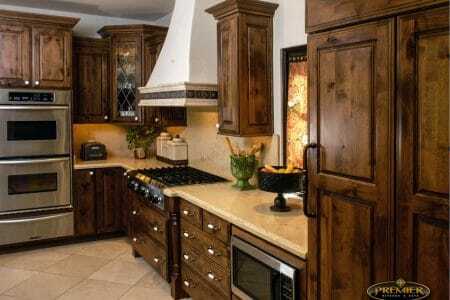 Out of all the remodeling contractors in Scottsdale, AZ, we stand apart due to the sheer scope of our services. We work with many different manufacturers to bring our customers the best appliances, cabinetry, showers and bathtubs, lighting, flooring, countertops, and more, so that they can enjoy the luxury remodel they’ve always wanted. And, unlike other remodeling contractors, we have a team of highly experienced designers that can take your initial ideas and expand on them to create a finished remodel that will exceed your expectations. For more information, contact Premier Kitchen & Bath today. Create a Space to Fall In Love With!